AR: How ready was the leading pair Tarasova/Morozov to the test skates? MT: We were ready for the test skates. Both programmes were done, the guys skated through the SP many times. Wednesday morning they were skating it without me, there will be another skate this week. The LP is longer and harder, but the guys like it. I think should they skate it clean the programme would be a cherry on the top of any competition. AR: Tell me about the pre-season preparations. What were you working on? What were the problems? MT: There are always problems. The biggest - finances and the specialists. Talking about the team - there are a lot of mental problems which we are learning to overcome. It's not their preparation or their skating ability that bothers them. At some point they lost the motivation, but now they are skating for their coach, because they chose me and they wanted me to coach them. They do their best not to let me down and skate for me. For me it's a motivation to prove their choice was right and it was for a reason they wanted to work with me this season. There are also problems with me as a coach. Am not just unexperienced - I have 0 coaching background. Hence there are problems. AR: Do you like coaching? What works the best for you and what do you need to work on? MT: I can't really tell coaching is something I like or interested doing. The technical and organizational part is something I hate. Most importantly, we live in a world of too many papers and when it comes to signing them all it shakes me. Hence I can't really tell I am fond of the coaching work or interested in it. MT: I like creating something new. Learning new things, digging in myself, in the athletes, in their mind. Besides, my education is in psychology. It's interesting for me to see how people change their working attitude. AR: In one of your interviews you said the coach is either a hero or an altruist. Which one are you? MT: I can't call myself a coach - am not educated to be one, nor working as one. MT: On the papers am a specialist, not a coach. I can't even get that job, hence I can't call myself a coach. AR: Then who is listed as Tarasova/Morozov coach? MT: Nina Mozer. Am not a coach. Am a psychologist. A specialist. I have the pedagogical education and a specialty, but following our amazing laws with all my knowledge I can't work with the team. Even given my experience as an athlete. AR: In the test skates everyone will be focused on Zagitova/Medvedeva fight. What do you think will be the result? MT: A high one. I expect Zagitova to be more consistent, more than the predecessors who went through the same. She is a smart and a talented girl. She is beautiful on the ice and has great jumps. She is an Olympic champion. MT: I expect something new from her after switching to Orser. Everyone is expecting and thinking `what will she show'. I really want her to skate like a Canadian. First of all in her gliding. If Zhenya can jump as Medvedeva and glide as a Canadian it will be explosive. I want Zhenya to get to a new level. It's the unique case when the best coaches of the current single skating - Tutberidze and Orser coaching or coached the same athlete. I think it's Zhenya's lucky chance. Besides, working with Orser she might become an amazing specialist in the future. MT: Because she knows the Russian school. AR: You tried commenting on the TV. MT: I worked with the best Russian specialists and communicated with the foreign ones. Everyone has his own style. There is no absolute way the commentator works by. There is one who criticizes and looks for mistakes; there is one who explains the technical side of the skating; there is one who praises all the skaters. Of course I tried to find something unique and do something no one else had done before. I watched the Russian and the foreign commentators work and found my niche. MT: An insider information. I was not only talking about the elements that were performed on the ice, but introduced the skater. MT: There is a guy representing Germany, but he was born in Belgium, his twin brother is a ballet dancer, his parents are really cool because one son is competing at the Olympics and the other is on the stage. They have a dog and the granny fought on the fascist Germany side. Anything goes. Any information that hardly has anything to do with the sports. AR: Why have you chosen that? MT: Because when someone turns the TV on and sees figure skating something must catch their attention. I need them to remain on that channel. I don't think they would be interested in the 3A or a conversation between the commentators with `What level do you think the spin will be marked?' / `Oh, I think 4th, even though he didn't keep the last position'. Of course the person will ask wtf 3A? what position? On the other hand you can just say the nice guys are skating. That was my goal, my style. When I was getting ready for an interview with an athlete I would talk to the coach, would look up any information on the internet. In general I could tell something about any skater, even from the 3rd world who wouldn't be on the top. Thank you for translating, TANbkA! I love most interviews with Trankov. He is priceless! No sugar-coating. He is honest and speaks his mind. Wow, so Mozer is taking break, Trankov (who doesn’t have any coaching experience as he himself admits) is coaching them, but because he doesn’t have the papers (the right education? Or just accreditation?) he can’t be officially coaching them, so it is Mozer (who is not even present) who is their coach. While defacto they are coached by someone who sees himself as their psychologist. I find Trankov to be even more unlikable than when he was much younger and training in Chicago, where I saw and talked with him frequently. While his focus was on training Trankov and his partner Maria, Oleg Vasiliev did coach other skaters, even Adult Pair Skaters. I had the great honor of attending Oleg's Pair Camp for 6 years with my partners, as well as the occasional private lesson with Oleg. Trankov attended the clinics and helped demonstrate and teach. He was sour, and basically unfriendly, as it appeared he would rather be anywhere but there. He treated 'lower' level students as if we were stupid, incapable of learning and undeserving of his time. He failed to acknowledge or accept our passion for the sport. He was unlikeable then, and even more unlikeable now. Contrast that with Maxim Marinin, who was always a pleasure, and even took time out of his busy schedule to choreograph a singles program for me ("Rondo Cappricioso"), despite the fact that he had never done choreography before and had not skated singles in many, many years. He did this simply because he knew me from the clinics and I approached him with the idea. He said yes and we had a glorious 90 minutes together. My favorite moments from that 90 minutes was Max asking me if I wanted to stop and catch a breath to rest and me saying, "no," as I knew our time was precious and not to be wasted with resting. Running through his program when we were done, for him, and seeing his satisfaction is one of my greatest memories in my skating life. Max Trankov is no Oleg or Marinin, that's for sure. You can't make this stuff up. I tell ya. I like that he says what is really going on, rather than the PC phrases that everyone works hard and things are great. Well, then again it could be worse. Was it Patrick Chan who was coached by someone who didn’t even recognise triple toe loop? And yet quite a lot of people like him, and consider him a good friend. Maybe he just didn't like you? T/M specifically asked him to work with them. I'd hazard a guess that they know him pretty well. I have never met Trankov, so I can say nothing about him, but I have met Maxim way back in my fangirly days, and he was a true gentleman in every sense. This interview is priceless. But also, the part about how Tarasova/Morozov had lost their motivation made me sad. People in the figure skating world can be so gratuitously cruel sometimes and I think the way they were treated last season just frankly sucked. This interview is priceless. But also, the part about how Totmianina/Marinin had lost their motivation made me sad. People in the figure skating world can be so gratuitously cruel sometimes and I think the way they were treated last season just frankly sucked. But it's understandable, isn't it? When your coach saddles you with a programme like THAT for the Olympic Games. You begin to ask yourself questions like, is this how they really see us? Makes you wonder why more pairs haven't dumped her and moved on to Moskvina many times over. Moser might hold the purse strings but Moskvina creates works of pure art. Yes, that's who I meant (I edited the original post to fix it which I guess fixes the quote in your post as well). And while the program wasn't the greatest, it was the wildly disproportionate and excessive response to it that I was talking about. In their defence for a country's most promising pair that was one of the most offensive programs, I have ever had the misfortune to endure, especially when you consider their beautiful short programme and the number of breathtaking Russian LPs we've all experienced through the years. Well, you seem to be very easily offended then! I agree with Michalle, the public outcry on the forum was ridiculous. I didn't find the program offensive, just tacky and SO beneath their quality. It still could have been fun if they actually were engaged in it and with each other, but the entire thing was a sad mess. I doubt they will do justice to Lenny Kravitz music (it's already been bastardized by being instrumental only), but perhaps they will pleasantly surprise me. As far as Trankov goes, I like reading his interviews and his thoughts on things, whether I agree with them or not. And the few times I've had the opportunity to meet him, he has been gracious, funny and engaging with everyone around him. Thank you LarrySK8 and SmallFairy for sharing your stories about the wonderful Max Marinin. I always loved him and his partner/wife Maria Petrova. There may have been more successful pairs competing against them, but for sheer charisma and likability, they were gold medalists every time they took the ice. I can understand why they could suffer from motivation and focus issues, after being within a point of Sui/Han after the SP at the Olympics and not making the podium and then being 20 points behind Savchenko/Massot in Milan. Losing to Savchenko/Szolkowy seemed to impact Stolbova/Klimov post Sochi, since it was there best chance for a World title with Volosozhar/Trankov not competing and after such wonderful Olympic performances. Four more years is a long time for a skater/team who was at least one of the co-favorites, and not the old Soviet way, where everyone waited their turn, or in the Chinese way, with so much longevity and Shen/Zhao coming back in their 30's to win after two disappointing results. Thank you LarrySK8 and SmallFairy for sharing your stories about the wonderful Max Marinin. I always loved him and his partner/wife Maria Petrova. Petrova is married to (and competed with) Alexei Tikhonov. Marinin is the finest gentleman I have met in figure skating. Trankov is a completely different personality. He is dry, sarcastic, and in many people's eyes arrogant. He definitely had a superior attitude when he was younger. While being very insecure. I am sure the situation with Oleg and Maria didn't help. It was NOT a healthy working relationship. Volosozhar is genuinely one of the nicest, most grounded people in skating. If she likes Trankov, he's worth it. Trankov may have an arrogant demeanor, but he has a big heart. Vasiliev may be pleasant and charming, but he's acted like a snake a few times. Things in life aren't black and white. Yes! It absolutely did, to levels that were utterly appalling. I'm so glad they're continuing on and Maxim T seems to be doing pretty well in motivating them! Also, as someone who actually enjoyed their FS, I started feeling pretty personally attacked myself...like apparently that program was a crime against humanity and no-one with an ounce of decency would like it. It's not as if it was Med's program with the 9/11 voice overs for God's sake. You'd think they had killed someone. Also, I feel like T/M are getting overlooked when it comes to people talking about the up coming season...I'm really looking forward to seeing their new programs! Ahem...sorry had to get that off my chest. Marinin is the finest gentleman I have met in figure skating. Trankov is a completely different personality. He is dry, sarcastic, and in many people's eyes arrogant. He definitely had a superior attitude when he was younger. While being very insecure. I am sure the situation with Oleg and Maria didn't help. It was NOT a healthy working relationship. . I agree with you. People i know (in theatre business) are friendly with Marinin's wife Natasha, and they said that spending time with this couple is like transferring to the 19th century house of aristocrats. They also said that each time they are involved in a classic Russian literature based play, they wish they could cast Maxim as a main character, he has the manners and aura..
Trankov is somewhat of a rogue, but the situation with Oleg Vasiliev and Maria was terrible for him. Oleg and Maria were lovers, stuck together on all issues against Trankov. He was rarely consulted about anything, rather informed what to do and not allowed any input. In any disputes Oleg took Maria's side. Oleg and Maria would attend various skating related events as a couple, leaving Trankova alone. They would go out of town not even informing Trankov that they left town, only to show up at practice. At skating Federation Events Oleg and Maria would sit at the table with officials and judges, and placed Trankov at some far away table, while Oleg would joke and complain how difficult Trankov is to Piseev. 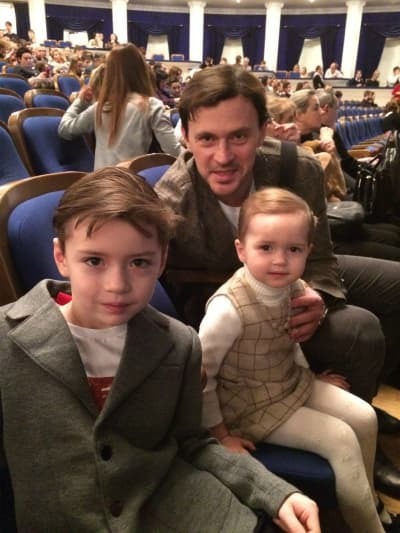 Oleg and Maria would lie to Trankov about time off. They wanted to go on vacations together, and once Maria lied to Trankov about visiting a sick grand-mother, and then Trankov found out she and Oleg are at some beach resorts.. Trankov felt very cornered and mistreated. This interview describes a lot of stuff, it's "google translate" friendly.. In 2010 Trankov gave an interview, the heading of which was "I was constantly put-down/belittled"..
Marinin was thinking of leaving the partnership because of Vasiliev's relationship with Totmianina, but he had a sit-down with Vasiliev, and the pair remained together. Different temperaments and trajectories, but at the same time, another difference between Marinin and Trankov. Poor cry baby. So now he gets off on putting-down and belittling others, namely Ksenia, Aljona etc. He only changed his tune about Aljona just because she no longer competes with him and naturally is just happier with her life. WOW. A better man would just BE better rather than coming off as so bitter. The Maria and Oleg affair was such a long time ago. Why does he constantly need to interfere in conflicts that do not concern him? Why is he so intent on painting Ksenia as some criminal? I am not even a fan of hers. If Fedor isn't talking about it why is he? Or is it that he AND Fedor are okay with this? I will always think of one word when I hear or see his name and it's not fit for this forum. I have a soft spot for Trankov, and don't yet worry about the statement like (paraphrasing) "I don't enjoy being a coach and don't quite know what I am doing". We've read enough statements from him before how much he does not enjoy figure skating, and yet he persevered till he got an Olympic Gold, and is not in a hurry to change his profession. I think with his pride and creativity it will be imperative for him to do as good of a job as a coach as he possibly can; and he is not stupid. He does not like the administrative aspect of it... so he'll need a co-coach who is terrific at organizing and smoothing out rough edges. I volunteer his wife. You are very welcome. Unless there is more information out there, I may be one of the very few skaters, if not the only male singles skater, he has ever choreographed for - and I will always cherish that experience and his program he made for me. A valid point. But lets not forget one thing. Mukhortova was never in Totmianina's league. Not as a skater, and not as a partner, not in any other way. A partnership with Totmianina was worth fighting for. Why would Trankov fight for Mukhortova, especially when Volosozhar became available? Volosozhar is a complete opposite of Mukhortova. Trankov probably thought he died and went to heaven when he started skating with her. Marinin was willing to forgo an Olympic medal, very likely gold, because Vasiliev's relationship with Totmianina pushed him to that edge. He sat down with his coach, and they had whatever conversation they needed to make Marinin stay. I have no idea if Vasiliev changed his behavior, or if he was simply convincing. I don't think that Trankov should have stayed with Murkhortova, even if she had been as talented as Totmianina. I suspect that Vasiliev treated Trankov with less respect than he treated Marinin. Yup. I was trying to be pc here, but lets call a spade a spade. Mukhortova was not very refined, and prone to screaming and fits. She seemed very unsophisticated even though I couldn't understand what she was yelling about. A startling departure from the usual behavior of Russian pairs skaters. She was nothing at all like Berezhnaya, Totmianina, Petrova, Volosozhar or Tarasova. Stolbova gets accused of being a diva, but she is a lady (a strong one, and a sharp one), but a lady. I wouldn't use that word to describe Mukhortova.